Twenty-eight days, twenty data capture shifts, thirteen lectures, six orientation sessions, three USA House volunteer shifts and one rehearsal ceremony later I am back from the Rio de Janeiro Olympics. What an incredible experience! My 26 classmates and I had the opportunity to attend the mega-event in Brazil this summer and what an adventure we had over the course of our ten day class. We met with folks from the International Olympic Committee (IOC), the United States Olympic Committee (USOC), the Rio de Janeiro Convention & Visitor’s Bureau, the International Paralympic Committee (IPC) and several agencies and organizations that do work with the Olympics. We were also able to volunteer with the USOC at their USA House, an exclusive house to help create a safe haven for our athletes along with invitations to guests and sponsors to join. Last, but not least, our class also participated in a large data capture project with the IOC which will help inform future games about the types and amount of space that should be used; furthering to provide efficiencies and economic savings when possible. If that sounds like a lot to do in ten days – it is! During a whirlwind of activity, we got insights on how the Games function along with many different perspectives on what the event means for Brazil. A country in the worst economic crisis in over 100 years, one which delayed the impeaching of their President for the Olympics, forced to make budget cuts right through the Games certainly brings about many opinions. Overwhelmingly, we heard that the infrastructure improvements made because of the Olympics (an additional train line was built connecting Rio to Barra da Tijuca, a very populated area that used to be difficult to travel between) and the investment in “Olympic Boulevard” would no doubt be a positive legacy for Brazil. While there were certainly challenges in Brazil, it is clear that the nation can be proud of a successful event. 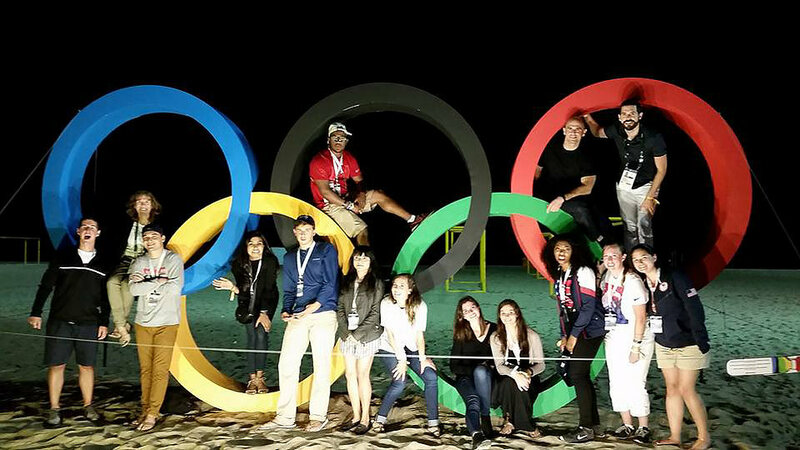 I began my studying at George Washington specifically to attend and an get a flavor of what it was like to be at an Olympic Games and I can confidently say I got the opportunity to do just that!